We are in a new media age. With the ascendency of social media and the rise of fake news sites, inaccurate and misleading information now spreads like wildfire. More than ever before, organisations are in need to people who can discern fact from fiction - helping them avoid social media backlash or legal issues when giving information to the public, and ensuring that business decisions are made based on reality, not fantasy. This course gives you a solid foundation in the fundamentals of fact checking. You will learn techniques for separating fact from opinion, gain strategies for verifying information, and learn how to determine whether sources are reliable or not - setting you up with a suite of critical thinking tools you can use to cut through the deluge of fake news. By completing case work and assessment spanning different types of media: including online journals, blogs, images and social media posts, the earner of this credential showed an understanding of the fundamentals of fact checking, demonstrating that they can verify facts, identify source material and recognise bias within an information source. 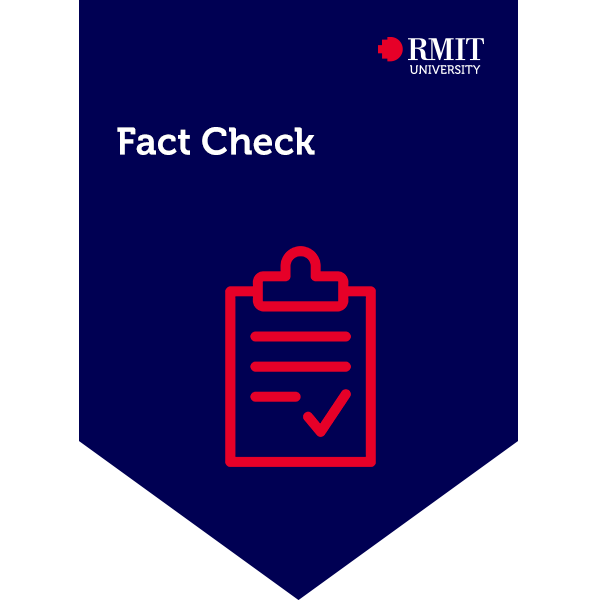 This Credential has been endorsed by RMIT ABC Fact Check.